Due to how Office 2013 handles WebDav, we recommend using a third-party application to integrate web folders with Office 2013. 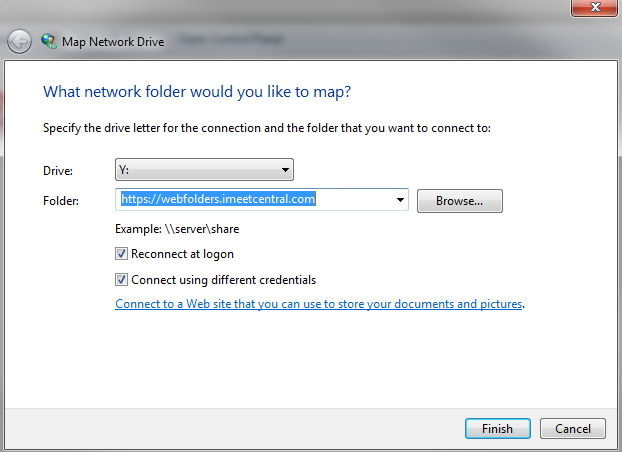 Web Folders support is native in Windows and is accomplished by mapping a network folder to a drive letter. Follow the steps below to connect to iMeet® Central. 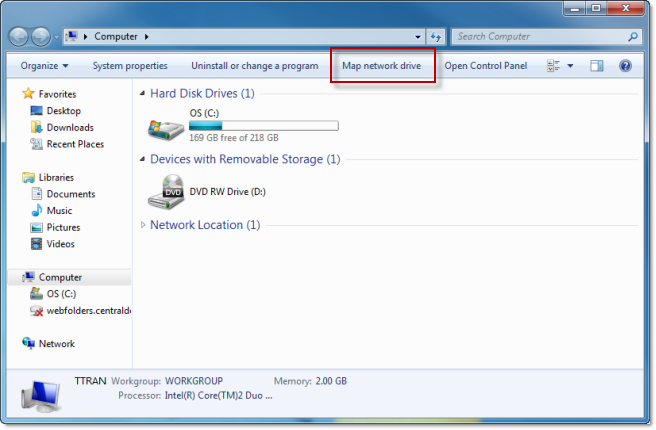 After the network drive is mapped it will appear in "Computer" as a drive with the letter you choose during setup. 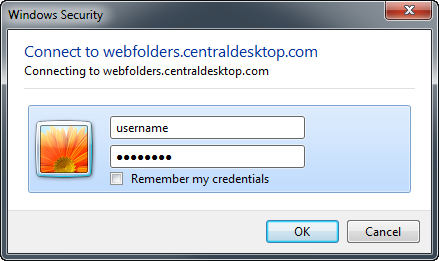 When prompted, enter your iMeet Central username and password. Make sure to enter your username in all lower case characters.